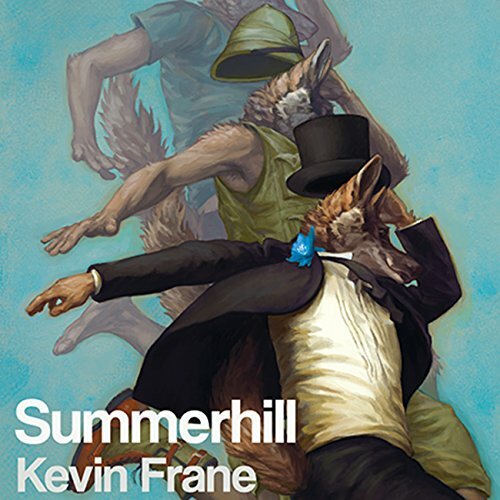 Summerhill is a dog with a problem: He isn't exactly sure who he is. Living alone in a desolate world as its only inhabitant, he has no memories of his previous life - only the tantalizing clue that the answers he seeks may lie with a mysterious woman named Katherine, the hostess on a cruise ship that sails between dimensions. Together the two will travel to different worlds, different times, and different universes in a journey where the possible and impossible can be tough to separate, and where the rules of reality can change as easily as weather. Please note: This time-travel story intentionally includes chapter numbers out of sequence. It begins with Chapter 2. This was a wonderfully inventive science fiction adventure, spanning across time and space. The characters and locales were fresh and creative. The narrator did an excellent job portraying the various characters. Was kinda hard to get attached at first, but quick grew to become enthralled with the story enjoying how the story unraveled itself to me. What's a time traveling doggo? A big ol' dimension jumping pupper! Summerhill uses the same story mechanics as Dr Who or Rick and Morty, but in its own way. You will be transported to many magical places in your mind as you listen. It's a great book, highly recommend. I can't believe how engaged I was with this story! I got through it in 2 days, faster than any other audio book, and can't wait to listen again, something I've never wanted with any other book, traditional or otherwise. I can't tell if I want a sequel or if it's perfectly self-contained, but I know I love it.